we can provide a service to notarise, legalise forward back to you the requisite legalised document. We understand that these documents are often required on an urgent basis, and under such circumstances we will handle your document legalisation accordingly. 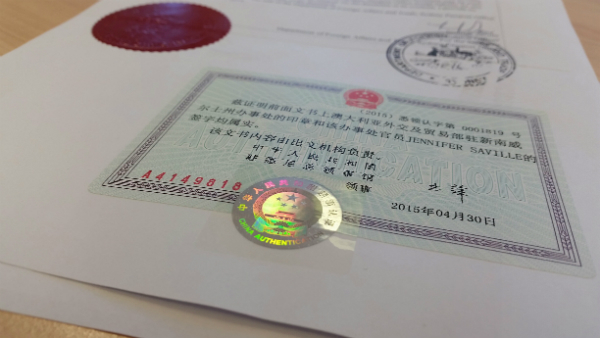 NOTE: If the notarial certificate relates to our client signing a certain document, the client shall need to appear before a notary in our offices. If you require us to attend your office or home, we may be able to help you out, noting that additional charges shall apply at an agreed hourly rate and for travel expenses. Considering the complicated nature of document legalisation, we strongly recommend that you contact us. Our friendly staff will happy explain the process and get the ball rolling for you. to be drafted, we would be pleased to draft such documents for you in anticipation of your attendance at our office to sign the same before a notary. Once a document has been notarised, there may be further steps required so that it can be used in another country. We have indepth knowledge of this process to guide you through the confusing minefield of document legalisation. We are happy to follow through with the legalisation process on your behalf, which may require attendances at the offices of the Department of Foreign Affairs and the embassy/consulate of the country that you wish to use the document. We understand that by the time you realise that you need a document notarised and legalised, it is often required on an urgent basis. We want to get it right the first time and to meet the deadlines that you are trying to manage.